One of the nation’s deadliest cancers, pancreatic cancer is the ninth most commonly diagnosed cancer in women and the 11th most commonly diagnosed cancer in men in the U.S. It is also one of the few cancers for which survival has not improved substantially in over 40 years. An estimated 53,670 new cases of pancreatic cancer will be diagnosed in the U.S. in 2017, with more than 43,090 deaths expected to result from the diagnosis. Pancreatic cancer is the 3rd leading cause of cancer-related deaths in the U.S. and is expected to become the 2nd leading cause of cancer-related deaths by the year 2020, surpassing colorectal cancer. 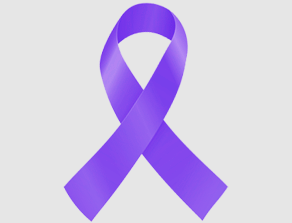 The five-year survival rate for pancreatic cancer is just 9%. Risk factors for developing pancreatic cancer include family history of the disease, age, chronic or hereditary pancreatitis, smoking, obesity and long-standing diabetes. In addition to specific projects listed below, genomics research is helping us attack pancreatic cancer – and all types of cancer. NFCR has distinguished itself from other organizations by emphasizing long-term, transformative research and working to move people toward cancer genomics. At the NFCR Center for Targeted Cancer Therapies, Co-Directors Dr. Von Hoff and Dr. Laurence Hurley are working on an entirely new approach to treating cancer by developing drugs that block newly-recognized genetic structures called “super enhancers.” These large clusters of DNA regulatory elements control the expression of a host of genes — including the critical cancer gene c-Myc – and offer a great opportunity for cancer disruption. This new approach may lead to great improved treatments for pancreatic cancer, lung cancer (small-cell type, in particular), lymphoma, multiple myeloma, colorectal and other cancers. Dr. Yung-Chi Cheng’s laboratory is working to bring Traditional Chinese Medicine (TCM) into the mainstream of Western medicine, with hopes of reducing the side effects of chemotherapy, while enhancing the benefits. Since the late 1990s, Dr. Cheng’s team has been exploring the therapeutic properties of PHY906, a Chinese herbal medicine formula. They discovered that, when combined with chemotherapy, PHY906 alleviates the unpleasant gastrointestinal side effects of chemotherapy for pancreatic, colon, rectal and liver cancer patients. Moreover, their research demonstrated that PHY906 also has its own, solo anti-tumor attributes. If there is continued success in clinical trials, PHY906 could become one of the first FDA-approved oral herbal medicines for anti-cancer treatment.